- Durable four-way stretch upper for easy on and off. - Air mesh insert panel promotes quick dry and maximum comfort. 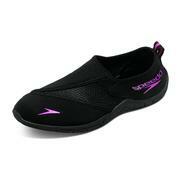 - S-TRAC TPR outsole offers water management and flow dispersion characteristics. - Shoe Weight: 10.0 oz. - Safety Note: Always use caution on wet, hard, or slippery surfaces.